Family plays an important role in our spiritual, intellectual, and emotional development. Each family has its unique problems, and its own way of communicating, or not communicating with the other members. Although the nuclear family has changed over the years, and the description of “family” now greatly varies, everyone is brought up in some sort of family unit. Within family units, even when one person is having a bad day, or in a bad mood, all of the others are affected. When a member is struggling with an addiction problem, everyone around him/her suffers too. This is why family therapy can be beneficial. Family therapy is often used in conjunction with treating an individual’s problem that is affecting the entire family, such as addiction, divorce, or behavioral problems. In family therapy, the unit of treatment is the family, and the person abusing substances is regarded as part of the sub-system. As in any system, all things are interconnected. Instead of addressing problems solely on an individual basis, family counseling recognizes that individual problems within the system affect other members of the family, so the solution is to involve all members in therapy. 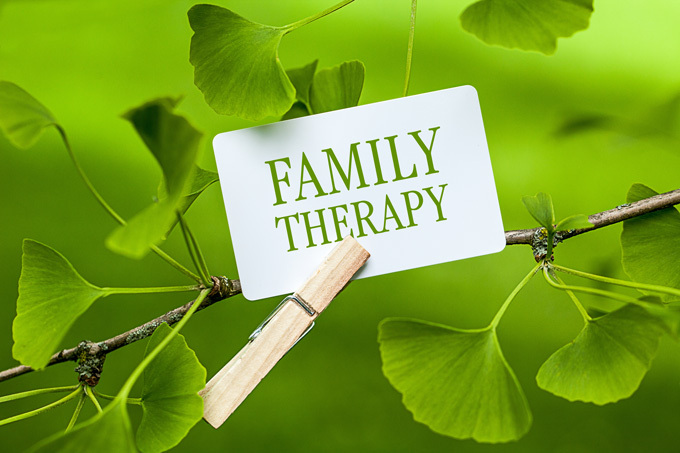 The goal of family therapy is to meet the needs of all of the members in the family. The solution strived for in family therapy is for the family to function better because when the family functions better as a whole, each individual within the system does better. Studies have shown that most people who struggle with addiction problems started acting out when they were adolescents. At this point in an individual’s life, family is the backbone for their existence. Teens begin experimenting for all kinds of reasons, but many of the reasons fall back on how they feel about what is going on within their family unit. This is why family therapy can be very helpful. Just as when a person changes in a negative manner it effects the entire family, the same happens when someone changes in a positive manner. For the struggling addict, their mindset is to get clean and stay clean—that is their focus, as it should be for a while. The other family members are often neglected, expected to forgive and forget all of the damage that another family member has caused. Family therapy helps the entire family to heal. If your family is struggling with some issues, do not feel alone. No family is perfect. Getting into counseling can only make your family stronger. Please contact us today at (877) 958-0778 to learn how our rehab facilities near Atlanta can help.